It is the World Wide Web and admit it, we can't do without it. There is no time and we are pretty much dependent on a lot of things online. From shopping to banking to travel, things happen fast and easy way through the net. Since the day I started shopping online, I couldn't step out of my house for shopping, it now appears to be boring and time consuming. Online banking has made my life very easy too, making FD, transferring funds has become kind of child's play. When I was a kid, I remember how my father went early in the morning to railway station to get our tickets booked. Now not only we can book tickets online in a few steps, we can even book personalized travel packages. I travel a lot whether it is for work or pleasure and with the daily hectic schedule, the online way is always handy. With travel made easy with all tech and tourism advances, it is also noteworthy how less we get time for pre-travel preparation which sometimes result in us forgetting and leaving a few things behind. Though I keep a checklist but when it comes to medicines, while I am packing, it becomes difficult when at the last moment I find out about missing medicines from my kit. Also for some trips there are certain medicines beyond the pain killers and antiseptic creams which one needs to carry on the go. All said and done, have you ever bought medicines online? My friend recently told me about their venture travelmedsindia.com with doctors and ecom specialists with over 50 years of combined experience on board. The concept itself picqued my interest. 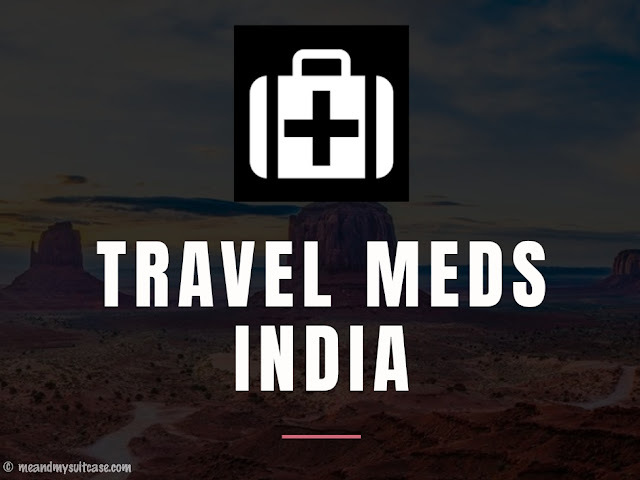 Travel Meds India has been started by a group of friends, doctors and techies who were the victim of problems they faced while on a trip due to the absence of a simple medicine and the medical shop not being in the vicinity. Travelers will sympathize with what they would have gone through. We travelers know the importance of such medicines, specially those who take the road less travelled. As they say, One man's loss is another man's gain. 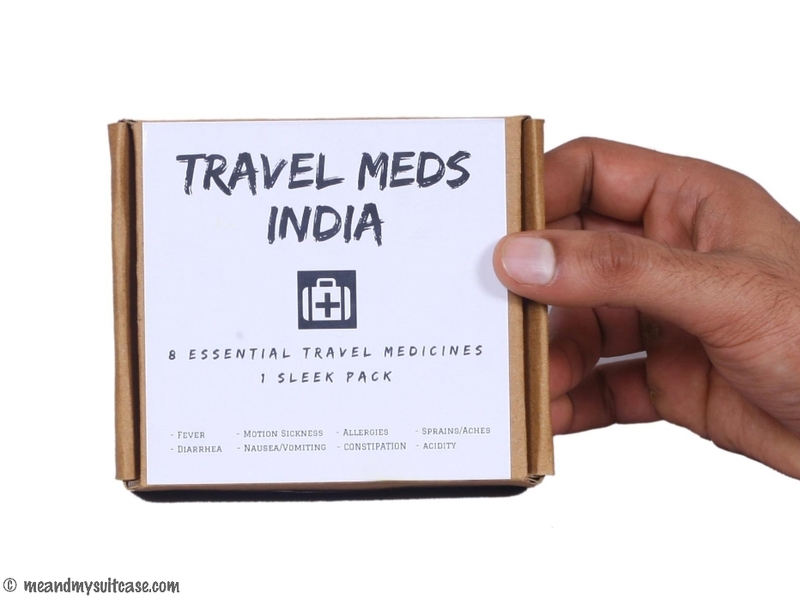 Their trip might have been marred by such experience but that lead to an idea called Travel Meds India, a one stop shop for a set of medicines specially for travellers. You are looking at a sleek cardboard kit box with 8 essential medicine strips, recommended by Doctors. Each Kit contains, 1 week's supply of the medicines viz. Avozin (for motion sickness), Paracip 650 (for fever /headache /bodyache), Ominil MD (for nausea /vomiting), Lactolus DS (for diarrhoea), Gested MPS (for acidity/gastritis/flatulence), Aceclomol P (for injury/ sprain/ period pain), Avil (for allergy/ rash/ itching) and Ducodyl (for constipation). Site is neat and clean. User Interface is simple. Minimalist. Easy to navigate through. Also, the name and background at first glance it self suggests that these medicines are specially to do with travellers, when they are on the Go. Desktop and mobile, both versions are pretty neat. Easy. User Friendly. Tabs are simple, can be comprehended easily. It is a set team of doctors and techies, a classic example where medicine and engineering came together, to make something good for good. Divulging a little on the team members would have been better, easy to connect with them as a user, to know what and whom we are dealing with. The idea of this site is good. Salable. Medicines at your doorstep whether at your own home or wherever you're bunking. Traveling to the road less travelled, you will still get them, anywhere in India. Disclaimer: This is only a site review, have not purchased any medicine from them yet. Also, when you do buy, please consult with your doctor before using those medicines. That's such a great initiative and yes it happens a lot when we miss out some or the other medicine and then curse ourselves at midnight when suffering and have no pharmacy in proximity.. Sounds cool. Ain't it? I loved the idea myself. Nice article. We'll check it out. I checked their website and am pretty impressed. This is a very good innovation. Solves problems of frequent travelers like this. Not only it is convenient but also saves time. It does. I am in love with the concept myself. Check their website. Look clean. It's a great initiative too. Hope many more people know about it. Wow, it is a great initiative! It will surely help frequent travellers. 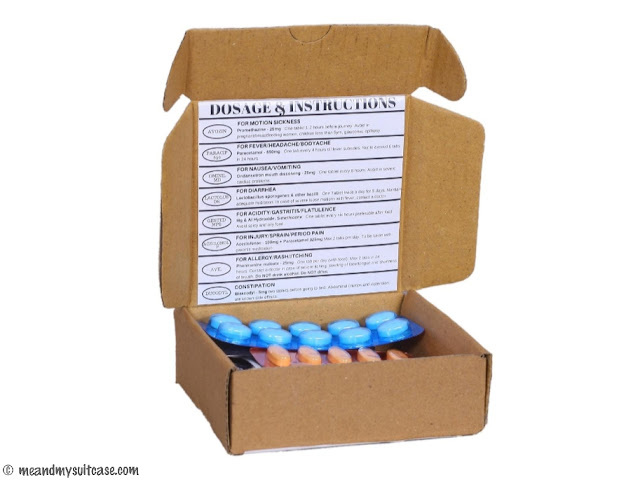 The medicines they provide in the box also covers almost all that are needed while travelling. Thanks Stuti for bringing this to notice.